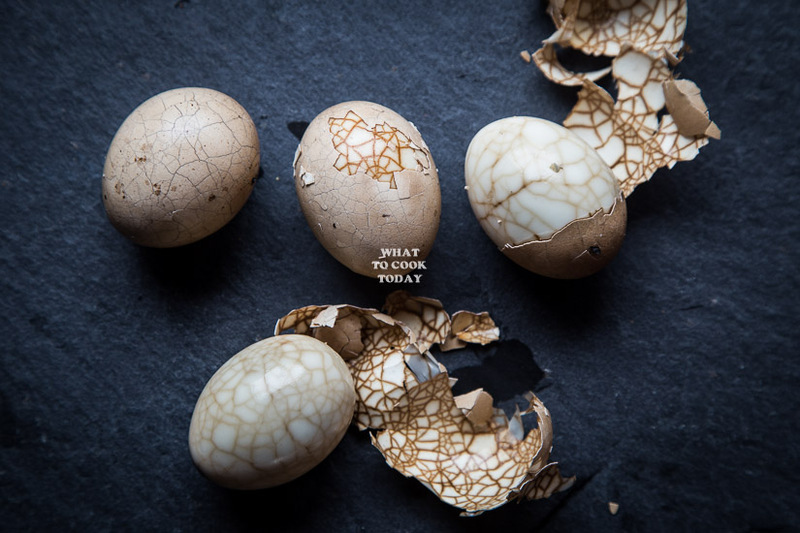 Marbled Tea Eggs are hard-boiled eggs with cracked shells and boiled again in herbs, seasonings, and tea leaves to create that beautiful marbles on the eggs. Eggs are my most favorite ingredients exist on this earth. I mean, the incredible edible eggs are so versatile. Boil it, fry it, bake it, steam it, stir-fry it…geez..did I miss anything else? They can also be appetizers, main course, desserts, drinks and btw, when I had a large bruise, my grandma liked to use unpeeled warm hard-boiled eggs wrap in a cloth to massage the bruised area. Seriously, anything else you can’t do eggy? I don’t think so! The best parts are they are very affordable and nutritious too (the latter depends on how you prepare them of course).I can run out of anything, but running out of eggs in our house is like the end of the world! (read: I get panic). Our morning always starts with eggs. So, a while ago, my sister got me some store-bought marbled tea eggs spice bags (thank you sista!). 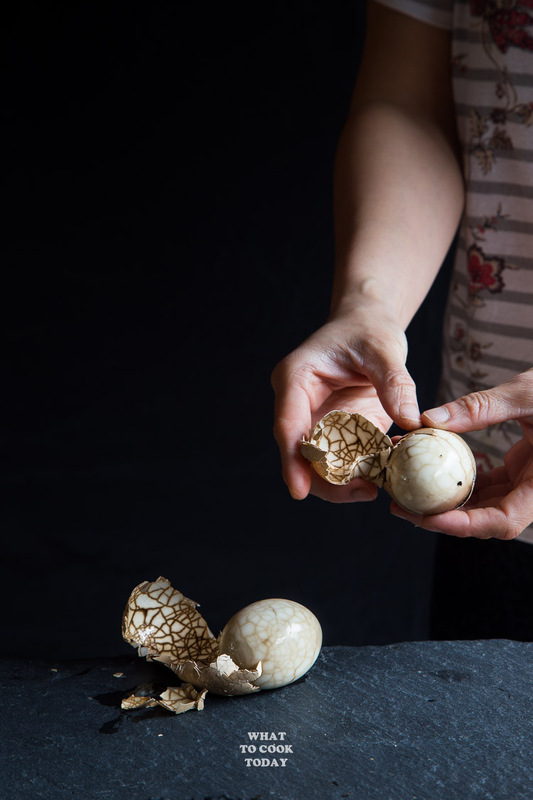 This tea-flavored eggs or known as 茶 葉 蛋 (cha yue dan) is one of my favorite egg dishes. 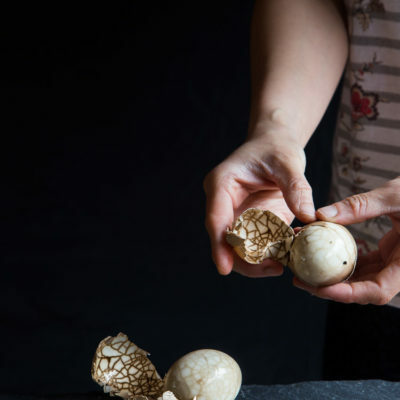 The eggs are infused with tea flavor and other spices and Chinese herbs. 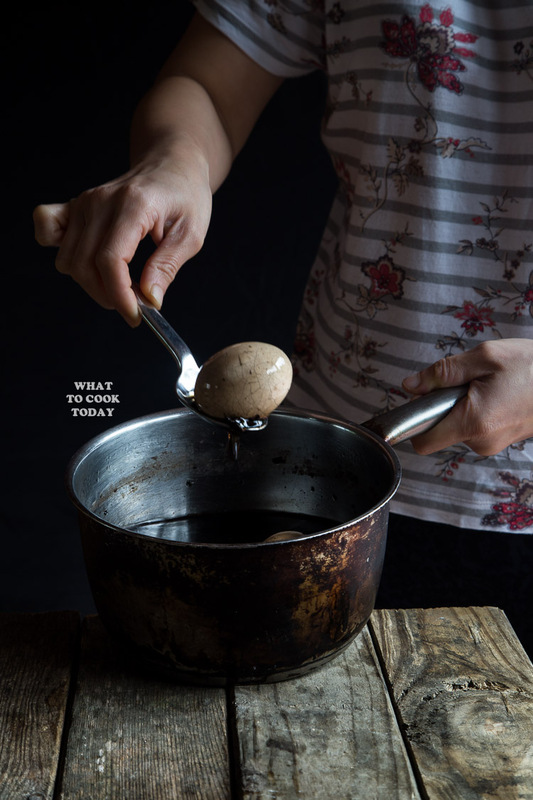 What sets this tea-flavored eggs apart from other spice-infused eggs are the marbling on the skin of the eggs. 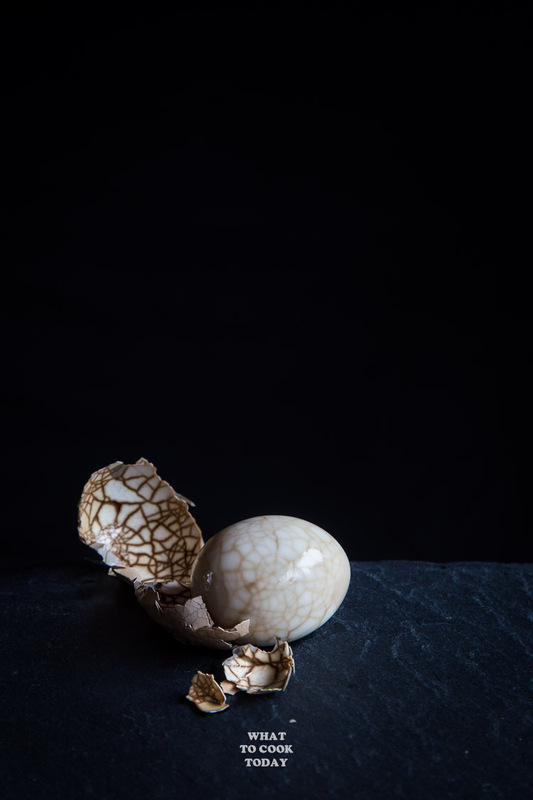 When you crack the eggs opened you’ll see this beautiful marbles created by cracking the shell of the cooked eggs without peeling them off before cooking the eggs further in the dark-color liquid made of tea and spices. I had long run out of the store-bought herbs and spices mix my sister got me and I just make my own using the Chinese herbs my mom got me. 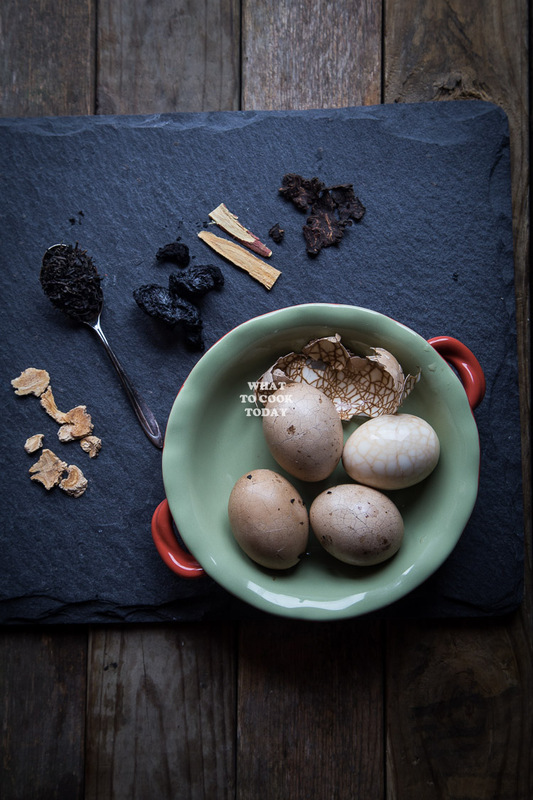 There are so many combinations of herbs and spices for this marbled tea eggs. 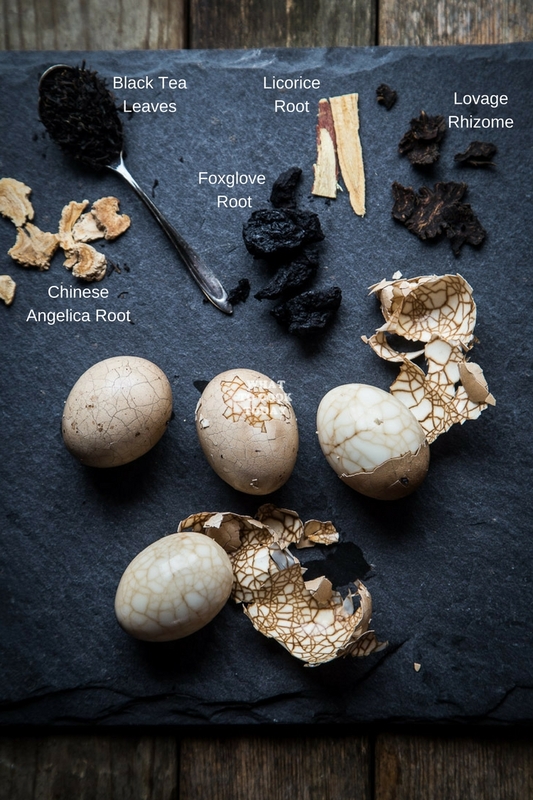 The Foxglove root is black in color and will turn pretty much anything into black, but, really, don’t sweat it if you don’t have it. I’ve made it with just soy sauce and that can create the marbles on the eggs too. Even if you don’t use the Chinese herbs, I think if you have black tea leaves, soy sauce, cinnamon, star anise, fennel seeds, and Chinese five-spice powder, they are flavorful enough! This is really fun and easy to make and even more fun when you peel them and you see all the beautiful marbles on the eggs.